I want my daughter to fall in love with writing. I’m sure she will – she is FILLED with my DNA after all. 🙂 When I was young, I would write short stories, poems, songs… you name it. And I already see that spark in her. 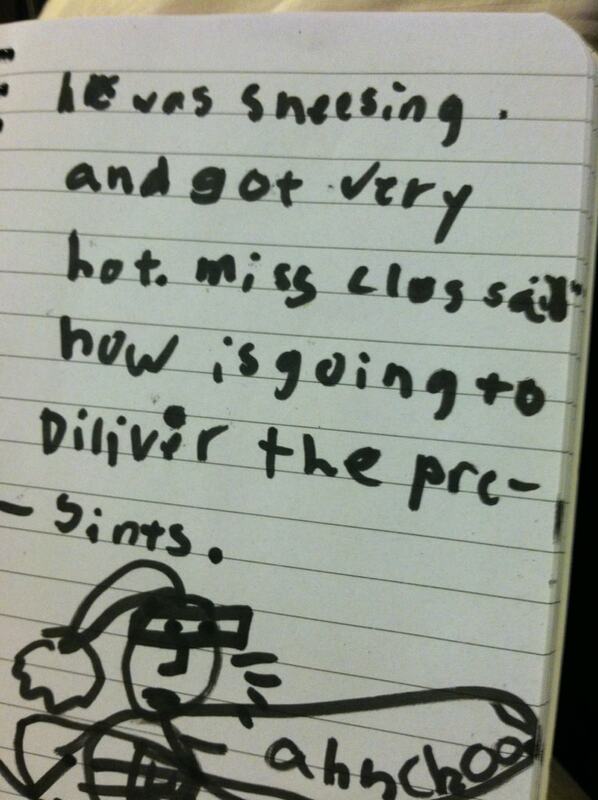 She’s 7 – so her spelling is a bit off. But every day, she crawls into bed with me and we write a story together. We take turns writing scenes. She titles the piece. I start it off. She continues it and also illustrates each page. I LOVE IT.